Having the money to buy sanitary protection is a problem for our orphan and vulnerable girls. 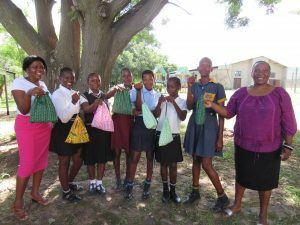 At Schoemansdal After School Club, with the help of our facilitators, girls have been making re-washable pads. In addition, facilitators have been securing re-washable pads from other sources. 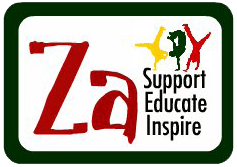 Recently they distributed six packs to some of our girls attending Schoemansdal after school club and once more packs have arrived, they will be given to girls in our other clubs.